In the sense of our KISS ESC line this ESC offer a great compability to a wide range of motors, the work of years went in to making the best possible here. The fast 32it Arm Cortex CPU does a very good job and runs the ESC very effective, of course reaction times are top notch. 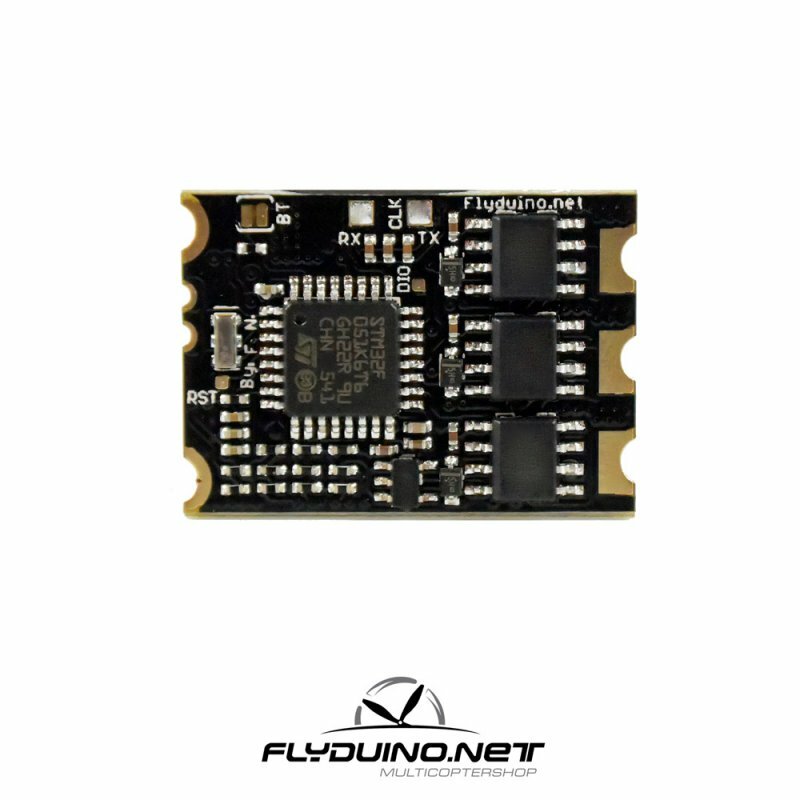 The 24 RE is layed out as a beefy ESC which withstand quite some abuse due to FPV races, several mechanisms doing its best to protect your valuable equipment, the rating of 24A wont need direct cooling, mounting them partially covered is ok.
No need to worry with different firmwares, simply solder and fly (some solder skills are the only needed skills). First ESC with with oneshot42 support (dont worry, Oneshot125 and normal PWM are auto detected too). 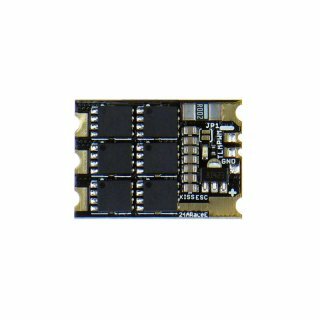 Beside this, this is the first ESC who offer a easy to use telemetry function over the regular servo connector which you can use in combination with our KISS-FC, no external heavy parts needed anymore to have infos like voltage, ampere and even your RPM on your OSD (MinimOSD supported) or on your receiver LCD screen (Frsky-Taranis, f.e.). - Oneshot42, Oneshot125 and normal (25-500Hz) PWM is detected automatically.